If you didn't already get the chance to read all about the amazing day I had last Sunday, please do! Here's a quick sneak peek for ya! Click here for the full story A few of my favourite things! I'm so blessed to have been given the opportunity to experience this for free these past 3 years! 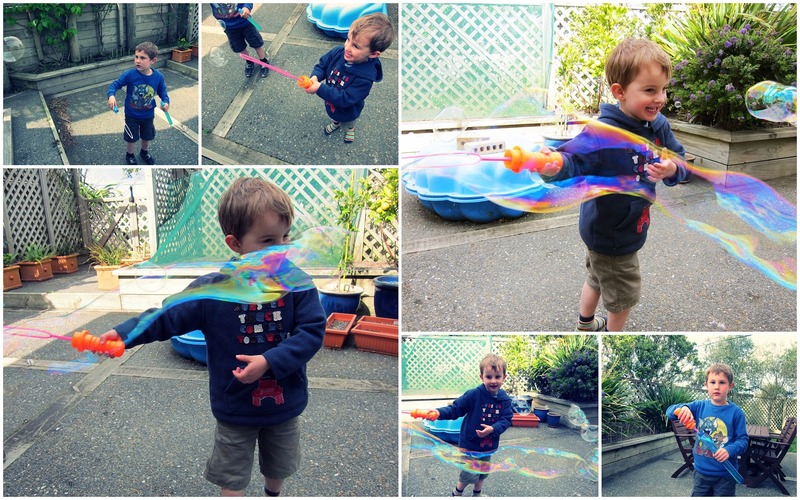 Loving the simple fun 2 bubble wands can produce. It even extended onto the trampoline where we spent ages trying to jump and catch the bubbles as they blew away in the stiff breeze. A couple of weeks back I went to see Ruby Sparks with some girls from work. Whenever I go to the movies, it always tends to be at the Reading Cinema complex, so it was a pleasant change to visit the Embassy - most famous for hosting the World Premieres of the Lord of the Rings movie (and soon to be The Hobbit). They've recently done up the boutique cinema downstairs known as Deluxe - it's so classy. The entrance way alone was worth a shot! And the gentlemen serving drinks in the bar were dressed equally as swish! Definitely worth wasting a few minutes of your life to save more minutes down the track! Head on over here to check them out! A few weeks back the kids got the complete set of Pink Panther cartoons out of the library. They were enthralled for days, and I must admit, I found myself wandering around the house humming the theme tune for days afterwards. An oldie but definitely a goodie! Loved seeing the little guy chilling quietly with my headphones listening to some of my cool tunes, Alanis, The Fray, The Afters and Coldplay last weekend while I was doing a bit of cleaning around the place. Anyone else loving Season 2 of this gripping drama? Yikes, it keeps me on my toes every week. So watchable. Looking forward to some sparkler fun this weekend. 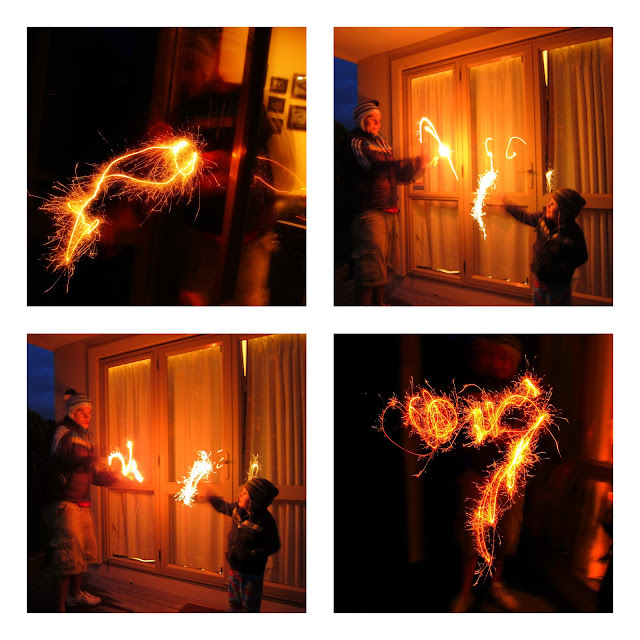 I might even try my luck capturing some more funky light shots like these ones from 2 years ago! 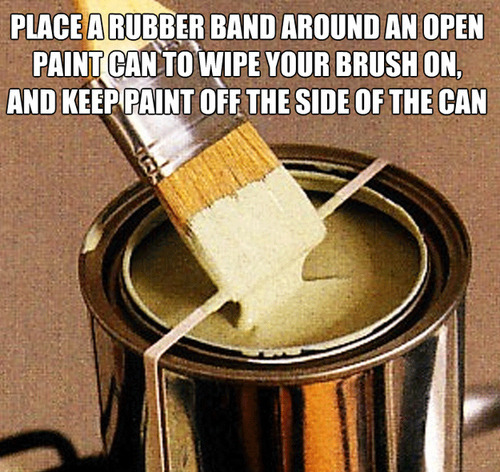 LOVE those life-hacks! 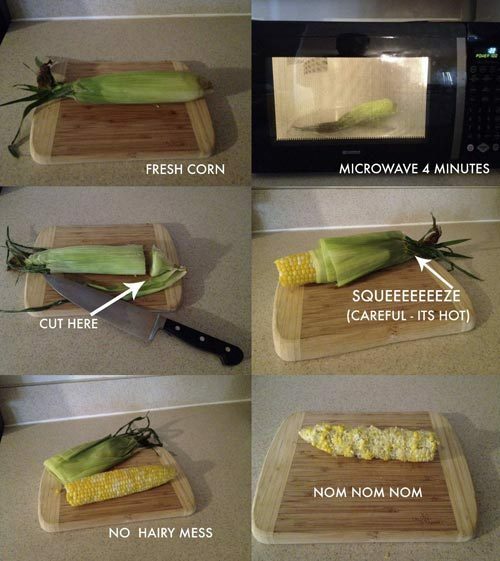 the CORN! who woulda thought??? What an action pack week you have had...bubbles, movies, and yummy food. What a great list! that website looks really good, will have to take a look and read your Ruth Pretty post too. We missed the first season of homeland but everyone is talking about how great it is, think I might the DVD's for my husband for Christmas. Enjoy your fireworks. Loving all your lovings McChoicey. What a rush of blood to the heart!